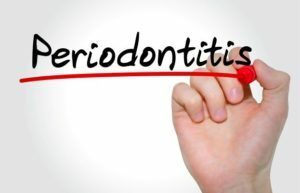 Gum disease is a progressive dental illness that occurs in two stages: gingivitis, which can usually be reversed, and periodontitis, which results in long-term damage. Seeing your dentist in Towson for regular cleanings and exams can reduce your risk of developing this devastating condition. Your Dentist in Towson Says Prevent Problems with Preventive Dentistry! Have you been inconsistent with maintaining preventive dental care appointments? If so, then the new year is the perfect time to start a trend of maintaining excellent oral health. Read on to learn why you shouldn’t wait for a dental problem to emerge before visiting a dentist in Towson. Also discover how preventive care visits can save you money and prevent unnecessary suffering! Comments Off on Your Dentist in Towson Says Prevent Problems with Preventive Dentistry! If you have any missing teeth, you know how your quality of life is impacted. Whether it’s not being able to chew your food easily, the aesthetic appearance, or the misalignment that it causes, missing teeth can turn easy things like eating into a challenge. They not only affect the look and function of your smile, but did you know missing teeth can affect your health, too? 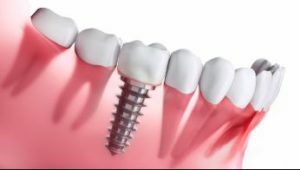 Thankfully, dental implants in Towson can replace your missing teeth, restoring the amazing appearance and function back to your smile. Keep reading to discover how dental implants can improve your life. 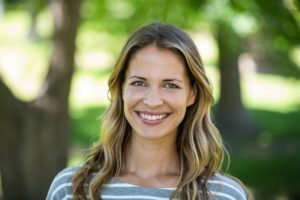 How Do I Know if Invisalign in Towson is Right for Me? Invisalign treatment can deliver straight teeth in the most comfortable and discreet way possible. For years, traditional braces were the only option if you wanted a straighter grin. But, thanks to Invisalign in Towson, you can receive a perfectly aligned smile without any of the hassle, self-consciousness, and discomfort that braces can cause. Keep reading to learn about the benefits of Invisalign clear aligners, and whether or not you’re a good candidate for them. Comments Off on How Do I Know if Invisalign in Towson is Right for Me? For years, you’ve been apprehensive about posing for holiday photos because of your bite woes. Now that you’re undergoing treatment with Invisalign in Towson, you have a way to remake your smile in a discreet way. Still, you may be wondering how to care for your aligners over the holidays so you don’t compromise any of your results. Read on to learn 5 simple tips. The Top 5 Ways to Maintain Your Dental Implants in Towson! 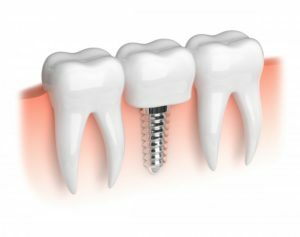 Compared to bridges or dentures, dental implants in Towson require a bigger investment of time and money – in the beginning. But not only do they look and feel far more natural than bridges or dentures, they also last much longer! In fact, implants are an investment that can pay off for a lifetime with the right care. 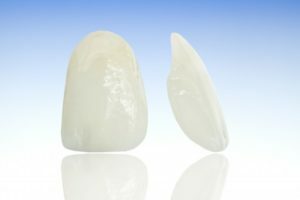 Just as you wouldn’t dream of jeopardizing an investment like a new car by neglecting routine maintenance, you wouldn’t want to jeopardize your new smile by not taking steps to maintain your implants. Fortunately, it’s easier than you might think – keep reading below to learn about the 5 best ways to make sure your investment in your smile lasts! Comments Off on The Top 5 Ways to Maintain Your Dental Implants in Towson! Meeting someone for the first time and want to make a good impression? Planning a date with a special someone? Making yourself look as professional as possible for your upcoming interview? No matter what social situation you find yourself in, chances are you could benefit from a boost of confidence. Turns out, multiple studies show that having a beautiful smile can make a big difference in your confidence and other people’s perception of you. To learn how cosmetic dentistry in Towson can make a difference in your life, keep reading! What Can Cosmetic Dentistry in Towson Do for You? Do you have any flaws in your smile? Do you look in the mirror and see discoloration, chips, gaps, or crooked teeth? If you’re like most, there’s probably areas of your grin you don’t like. Cosmetic dentistry in Towson has become a more popular way than ever to change and enhance your smile to your specific standards. Keep reading to learn what can be treated by these beautifying services and what types of cosmetic procedures can benefit you most. Comments Off on What Can Cosmetic Dentistry in Towson Do for You? Does the condition of your teeth affect your interactions with other people? A recent study found that one-third of the people you encounter for the first time will notice how your teeth look before anything else. That means that smile flaws could be affecting the way others react to you. 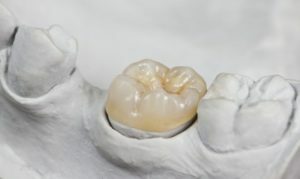 A simple way to improve the aesthetics of your teeth is with porcelain veneers, and as you read on, you’ll learn what they are and what to expect from the procedure. Do you notice small holes in your teeth while brushing but decide to think nothing of it? Do you experience tooth sensitivity, especially when eating hot or cold foods? Is your family more susceptible to tooth decay than most people? 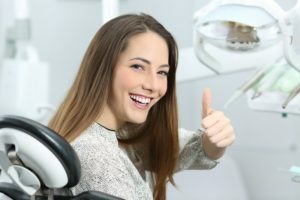 If you answered yes to one or more of these questions, it’s imperative that you get your damaged teeth restored either through fillings or dental crowns in Towson. It’s essential to keeping your mouth’s overall health in good condition for the rest of your life.